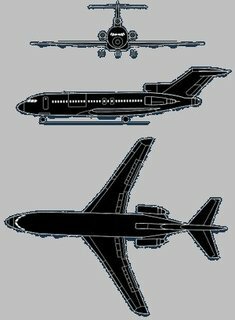 Presidential Class VIP Boeing 727-200 SUPER-27 (32 passengers) for sale. It is not a new aircraft, but this short-term offer is really unique, because this aircraft has a good resource, while is for sale by the price only: US$24,0 millions for quick deal ! Plus, please note, the cost of aircraft's SUPER conversion in to VIP class was around US$10,0 millions (this cost is included in the sale price) and this aircraft has just had the engines done. The aircraft meets full Stage 3 noise specifications and EU 2002 noise criteria, has the extended range tanks, and the Valsan mods to the engines which make it a SUPER 27. This Aircraft as well as all engines are in perfect conditions: Engines #1 & #3 are not due overhauls until 2017 and Engine #2 is not due until 2015 - therefore the engine status is excellent ! Meets full Stage 3 noise specifications with no trade offs. Aircraft maintained under Centurian Aircraft Services Maintenance Program. Operated under FAA Part 91 – No Charter. 2 – 42" gas plasma moniters , 5 – 20.1" LCD displays, 14 – 10.4" AMX touch screens, 2 – LD/DVD players, 2 – VCR's, 1 – Cassette player, 2 – CD changers , 2 – Single CD players , 115 Volt 60 Hertz Inverter Systems (2) , Cabin and VIP Compartment Telephone System , Airshow Genesis System Direct TV System Flight environments thermal and acoustic insulation blanket installed. 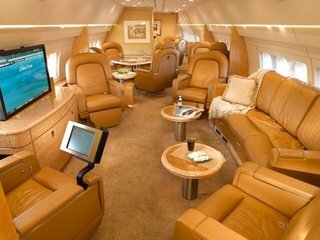 This aircraft is in executive configuration and designed for luxurious travel. The VIP apartment consists of 5 place salon, bedroom and bathroom with shower. Full accommodation for 32 passengers and 4 cabin attendants. Large galley in the rear with facilities for hot meals including microwave cooker plus small galley forward. Three luxury toilets in addition to the VIP toilet. Present executive interior completed in May 1999 at Raytheon, Ft. Lauderdale. 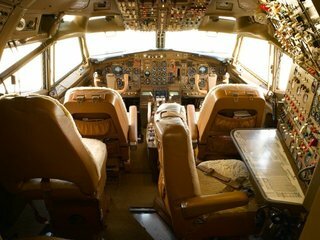 This interior modifications includes 17 new Aircraft Modular Products 900 LWS chairs and 2 series D2000 individual tracking divans. New carpet installed throughout aircraft May 2008.